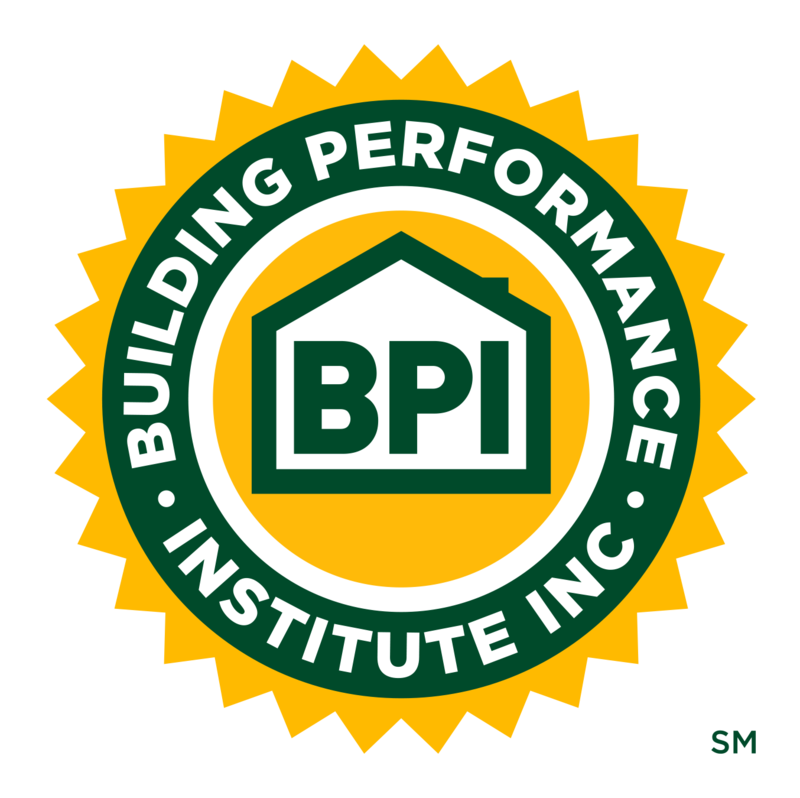 November 2017 | Building Performance Institute, Inc.
As November is upon us, we wanted to take a moment to remind you that this is the time of year when renewal invoices are sent out for BPI GoldStar Contractors, BPI Test Centers, BPI Proctors, and the BPI Product Listing. Please keep an eye on your inbox, as well as your SPAM/junk folder for an email coming from: Building Performance Institute, Inc. and the subject heading will be: Invoice from the Building Performance Institute, Inc. Invoices will be emailed to the address we have on file for you. Please take a moment to log in to your Account to make sure that your information is up to date. 2018 invoices were sent out the week of November 1st, 2017 and are due by Wednesday, January 3rd, 2018. If you have any questions at all, please do not hesitate to reach out to BPI at 1-877-274-1274 x292. The Jon Siemen Memorial Scholarship applications are due at the end of this month, on November 30th. The scholarship has been expanded to include coverage of online and field exam costs for all BPI certifications and the Building Science Principles (BSP) Certificate of Knowledge. Weatherization professionals Applications for the 2018 scholarship will be accepted until November 30th. Visit bpi.org/SiemenScholarship for more information and to apply. BPI added two new products from Tamarack Technologies in the air pressure balancing category of its Product Listing. Earn 2 BPI CEUs for contributing to the BPI homeowner blog and/or submitting a Stump the Chump segment for a future newsletter. Email qkorzeniecki@bpi.org if you are interested in writing on home performance topics for a homeowner audience or submitting a building science challenge for other contractors to solve. Don't miss out on upcoming Home Performance Coalition (HPC) conferences in California and New York! Registration and agendas are available for HPC California in Long Beach, CA (take $150 off registration using code CABPIXY8) on November 14-15, 2017 and HPC New York in Saratoga Springs, NY on February 13-14, 2018. Home performance certifications, like those offered through BPI, can help HVAC contractors differentiate themselves from their competition, according to this article in ACHR The News. BPI, Home Performance Coalition, Efficiency First, and Home Energy Magazine teamed up to put on the first ever #HomePerformanceWeek from October 16-20th. Throughout the week, the four organizations tweeted and posted on Facebook about what they have to offer and how they collaborate with the other organizations in the industry. We received a total of 105,000 tweet impressions throughout the week. Quinn is the Senior Communications Associate for BPI. Would you like to write articles to engage homeowners about home performance? Contact Quinn to contribute to BPI's Homeowner Blog. ANSI - American National Standards Institute recently approved BPI's revision to the ANSI/BPI-1200-S-2017 Standard Practice for Basic Analysis of Buildings. This change will make the use of this BPI standard less onerous for home performance professionals when purchasing new equipment and allow certain equipment - already used in the field - that did not previously comply with ANSI/BPI-1200. Section 7.1.4.2.1 now states that "equipment required for depressurization and spillage assessment" must have a "resolution of 0.1 Pa or better and an accuracy of +/- 1% of pressure reading or +/-0.25 Pa, whichever is greater." The original tolerance, +/- 0.15, conflicted with ANSI/RESNET/ICC 380. BPI also revised BPI-2100-S-2013 Standard for Home Performance-Related Data Transfer and BPI-2200-S-2013 Standard for Home Performance-Related Data Collection. HPXML 2.2.1 is a backwards compatible patch release to v.2.2 to provide the following change: Added the "preconstruction" event type to support Home Energy Score. A link to the updated HPXML Data Dictionary replaces the lengthy spreadsheet that was previously included in Annex B. This month, BPI features Kevin Byrnes, a BPI Building Analyst, Air Leakage Control Installer, and Healthy Home Evaluator. Kevin works for Simple Energy Testing LLC (SET) in Eagan, Minnesota. Kevin lives in Robbinsdale, Minnesota. On top of his job at SET, Kevin is a professional (non-career) firefighter. As a tribute to his late father* and to his local fire department, Kevin Byrnes deployed as a volunteer with the American Red Cross (RC) for two weeks in September after Hurricane Harvey. As a professional firefighter, Kevin (50) keeps in good shape. He also has significant emergency response training. But, what he didn’t have was vacation time. (You must volunteer for a minimum of two weeks for the RC to deploy you to a disaster area). Some states, like New York, have disaster leave laws on the books to help accommodate more RC disaster response volunteers. These laws allow workers, such as state agency employees, to take up to 20 days of “disaster leave” to volunteer for Red Cross disaster relief assignments. Within 24 hours of talking to the RC, Kevin was on a flight to Corpus Christi, Texas. He was sent to work at Ben Garza gym, which had been converted into a shelter. Over 185 people had sought shelter there. The situation at the shelter, and in the surrounding neighborhood, was quite difficult; it was an economically depressed area of town. Of the 185 shelter residents, about five or six families had completely lost their homes in the hurricane. However, most of the shelter residents were people from the neighborhood who just needed general help. Another challenge was the unsolicited food and clothing donations to the shelter. “The Red Cross needs people and money – not second-hand items showing up at shelters,” says Kevin. The donated fresh food was “a time bomb” causing fruit flies and huge amounts of waste. Kevin formed close relationships with the other five volunteers. They came from Texas, Oklahoma, Iowa, Indiana, and Nevada. Another volunteer, Tom, from Albany, New York, had been the shelter manager at the church across from Ground Zero during the days after 9/11. During the evenings, Kevin stayed at the First Southern Baptist Church, on Corpus Christi Drive – a shelter set up for RC staff. Even when he arrived late in the evenings, a hot and scrumptious meal cooked by church parishioners was waiting for him. Back at the Ben Garza shelter, with the leadership of Pastor Dave, a former US Army sergeant and Baptist minister from Iowa, the shelter inhabitants went from 185 to zero in just six days. Kevin observed staff from FEMA, RC Relief, and HUD working together to find the resources and relocate all the shelter residents. After the shelter was closed, Kevin was taken to a doctor to get treatment for what-had-become pneumonia. When he arrived at the Ben Garza gym a week prior, Kevin, on his own initiative, had spent hours cleaning the heavily-used and non-ventilated shower rooms. The doctor gave him a combination of a high-end antibiotic, Zithromax (Z-Pak), and a steroid. After two days of recovery, Kevin was then sent to drive an Emergency Response Vehicle (ERV) in the Texas countryside. After another five days as an ERV driver, he returned to Minnesota on Friday, September 29th. When asked how he thinks others can help, Kevin asserts that people aren’t needed for their skills per se; they are needed for being caring and compassionate human beings. He hopes more companies’ owners will give their employees the paid time off to serve. Without it, Kevin said he wouldn’t have been able to afford to have done it. He also thinks it would better support aid agencies, like the Red Cross, if volunteers representing all age groups could serve as volunteers. He also had support back home. His wife of 25 years “humble-bragged” on social media about him while he was gone. That reaffirmed to Kevin that he was doing the right thing. “It takes a lot to impress my girl,” Kevin adds. *In February of this year, Kevin lost his father, John, at 88. John Byrnes had done a lot of fundraising for the developmentally disabled in the Chicagoland area and was active with the Knights of Columbus. Hannah is the Marketing and Communications Director for BPI. Thank you to everyone who sent in a response to last month’s stumper! As a reminder, a homeowner has been struggling with radon issues in his home, with higher levels on the second floor of his home than in his basement. The levels were much higher with the furnace fan on. The heating system was replaced and cracks and gaps in the ducts were sealed up. Levels have decreased on the second floor but are still very high. What’s going on? The best response came in from Nate Burden of Fidelity Inspection and Consulting Services in Doylestown, PA.
"The negative pressure differentials from the operation of the heating system, thermal stack effect, and weather conditions can drive the radon gas up to the upper floors, causing dilution in the basement, lowering radon levels in the basement. Remember the radon source entry is most likely basement foundation pathways (sump pit, floor cracks, perimeter channels, etc.) and possibly the foundation walls. The reason is operation of the heating system and thermal stack effect are causing the dilution of the basement and pushing the radon gas up into the upper levels of the house due to the air exchange. You can see this condition of elevated radon levels on the upper floor areas with homes with forced air heating. The real, most direct solution instead of trying to use the HVAC system and sealing techniques to mitigate or reduce the radon levels in the home is to contract a qualified NRRP/state certified radon mitigator to install an active soil depressurization (ASD) mitigation system with proper diagnostics system design. If you eliminate the primary radon source entry through the basement foundation slab, then you eliminate potential elevated radon levels (4.0 pCi/L or higher) throughout the total house living envelope. The ASD system is 99% efficient in reducing the radon levels in the home." Can You Figure Out November's Stumper? This month’s stumper comes from BPI Building Analyst Wayne Thompson, of Vermont Gas Systems in South Burlington, VT. While he was performing an energy audit on a 1956 single-story ranch home in South Burlington, VT, Wayne stumbled upon 1.5" thick pebble insulation. What's the deal with this "insulation"? The Stump the Chump segment in BPI’s newsletter is the most popular part of the monthly publication. To keep these challenges interesting and relevant for you, our stakeholders, we need your input! 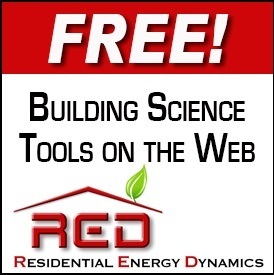 You know – that problem house, symptom, or combination of issues that challenged your building science knowledge. Send along a description of the problem and the solution to us. If it's a genuine stumper, we’ll publish in our next newsletter, which goes out to nearly 20,000 industry stakeholders. What you'll get: An opportunity to share your technical knowledge, free individual and company advertising with a link to your company website, and 2 BPI CEUs*! *BPI must accept and publish the stumper for the individual to receive the 2 CEUs. Individual must send the issue and how they solved it to marketing@bpi.org, and reply to all follow-up emails. Individual must hold an active BPI certification to receive CEUs. Stumpers must be: original content (not republished); include location, kind of house, a little about the residents, and a lot about the building science issue; grammatically correct; and on a relevant and applicable topic. Reference: CEU Policies and Procedures.